When we first started working with Harrow & Hope it was on the first version of their website, which was designed by another company as part of their entire brand design. We emulated this design through a highly modified premium theme and the end result was very visual and high-end. As time progressed it was clear that the eCommerce element was not at the forefront of the website and the process of buying wine wasn’t particularly easy for the end user. This was by design originally, but the decision was made to recreate the site, the one that you see now, so that the theme was clearer and more sales driven. 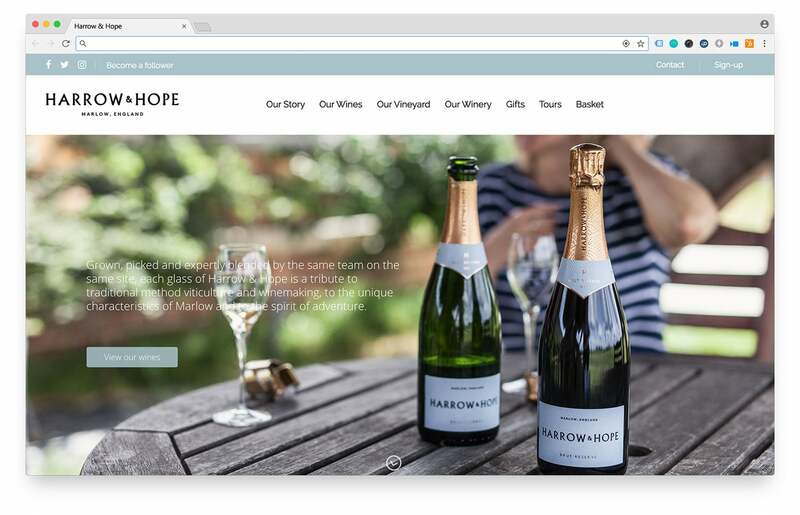 The second version of the site went live in the autumn of 2017 and has made the process of buying wine, gift vouchers and booking tours a lot simpler.